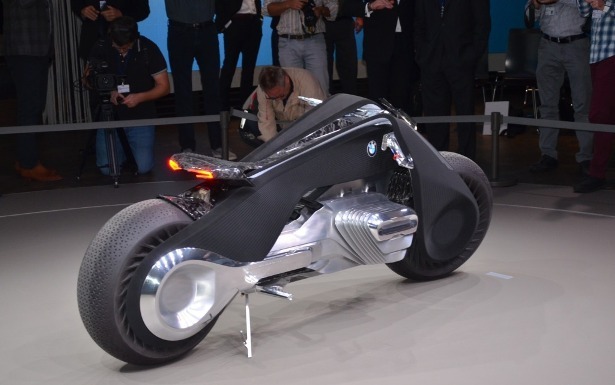 Motorcycle (s) aren’t exactly safe, but BMW envisions a future where two-wheel vehicles have enough onboard intelligence to make it possible for drivers to use them without protective clothing. The emphasis here is still on the thrill of the drive, but intelligent driver assistance features will help make it possible for the ride to maintain its thrill while adding a lot more safety. The so-called Motorrad VISION NEXT 100 vehicle is one in a series of BMW concepts that aim to anticipate where its future vision is going, and how incorporating new technologies and connectivity features will change the driving experience. 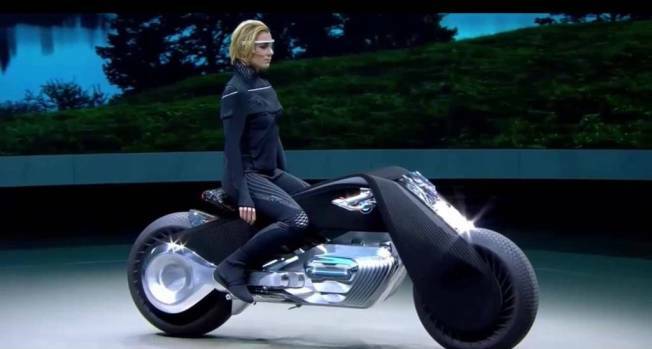 This motorcycle will have different technology! With the Motorrad, the answer is less a path to full autonomy, as you might expect with four-wheeled cars, and instead represents a natural conclusion based on the aspects of motorcycle riding that people value. That means the end-user experience is more about the freedom of the open road, with issues like safety handled by on-board artificial intelligence systems. The appeal of a motorbike you can ride without having to heap on layers of protective gear, including a huge cumbersome helmet, is indeed an amazing proposition. BMW says the Motorrad’s systems will anticipate the road ahead and offer drivers guidance on what to do to avoid incidents, and even step in and take over to prevent anything from happening if necessary. It also uses a self-balancing system that absolutely prevents the possibility of a tip-over, either when in motion or when standing still. There is some headgear involved, even though the helmet is gone in the concept – it’s a lightweight visor, however, and it’s made to keep the wind out of your eyes but also to overlay important information on your view, including anticipated twists and turns. Powering everything is a zero-emission electric drive train. Again, this is a concept so it’s far from being a real thing, but it is a very cool vision of what might be next for the motorcycle industry in a future where autonomy is king for cars.